Most people might be surprised to learn that there's an annual Microsoft Office Specialist World Championship. As reported by CNN, 760,000 candidates from around the globe enter in the hope of winning one of the $7000 grand prizes available in each category. Students aged between 13 and 22 worked their way up through local and national competitions to reach the final round in Orlando, Florida, which saw 152 competitors from 51 countries gunning for the top prizes. Entrants pick from the 2013 or 2016 versions of Word, PowerPoint or Excel, making a total of six champions. 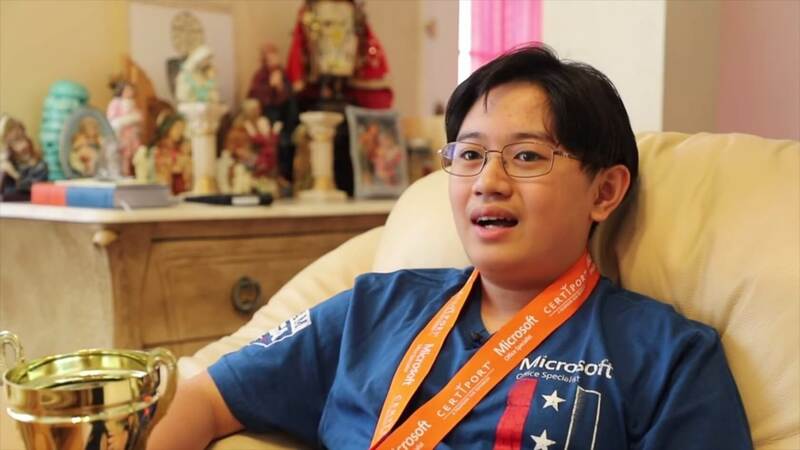 Kevin, who studies at Dunbar High School in Lee County, Florida, has gained a number of certificates in different Microsoft Office products through Dunbar's Academy for Technology Excellence program. The competition involved creating Excel files from a set of data, with the winner being whoever creates the most accurate project. "Time doesn't really matter because pretty much no one gets to finish," he told CNN. "The main point is being accurate." Not only is he a wizard with Microsoft’s spreadsheet program, but Kevin also has a few other talents. “I also compete in math and piano and have been quite successful,” he told Hello SWFL. Competing with students from as far afield as New Zealand and Hong Kong, Dimaculangan was the only American to win one of the six categories. Looking forward, Kevin said he already has a job offer but is focusing on school and gaining more certificates. Now that he’s learned pretty much everything there is to know about Excel, he could turn his eye toward competing in the Word or PowerPoint categories. I had no idea this even existed lol! I work with Excel a lot but I have too much other information to cram into my brain to focus on becoming an Excel Guru. EEatGDL and Reehahs like this. learninmypc, gc757 and senketsu like this. 7g's? Kid should get a full scholarship or something...That seems a bit weak for such a large competition. The fact that most have no idea it's even a competition let alone the lack of those who'd want to watch such a tournament.. would explain the small prize. I think it would be more productive for professional experience to learn to code and compete. If a kid even makes his own game and publishes it: he's in a path to game developer, exercises creativity, and could potentially bring a new idea (concept, sub-genre, mechanic, etc.) to the market; regardless of its popularity. I was forced to take Office certification courses in high school and it wasn't appealing to me, nor practical (do the same things 2-5 times in different ways, from which only one you may remember), and for career applications you won't care about all of them (advanced finances, statistics, programming, even robotics, management, etc.). I'm not saying I don't like some of these examples, but no one being certified is interested in all of the possible applications with Excel. It's great if he likes and enjoys the challenge, but I don't this would have a broader appeal as an enjoyable challenge for more kids.